During the month of December Smokey J’s will be smoking ham. 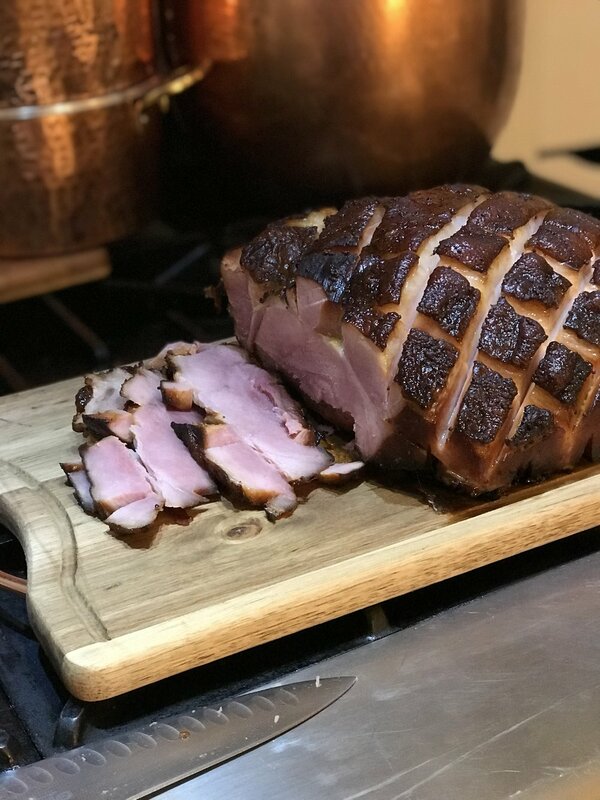 Schedule a delivery for one of our famous hams anytime between December 1, 2018 and December 24 at 4PM. Press the order now button and fill out the order form and someone will be in touch to take care of billing and to confirm the order. By cutting into the meat the marinade will penetrate deeper and faster. That is why our ham is so famous. After the ham has marinated overnight its time to smoke that meat. We like to use a combination of mesquite and applewood. You can see in the picture the beautiful crust from the scoring and marinade.